There was some clear disappointment in Beitske Visser’s expression following the opening weekend of the Formula Renault 3.5 Series at Monza. Making her début in the category, the 19-year-old spent the weekend lingering around the lower half of the field, eventually registering a DNF and a 17th place finish. While not necessarily the desired result for Visser, it was not completely unexpected when one considers her journey to the category. This graduation was never going to be easy – nor should it have been, for the Dutch teenager to make the huge jump from ADAC Formula Master. 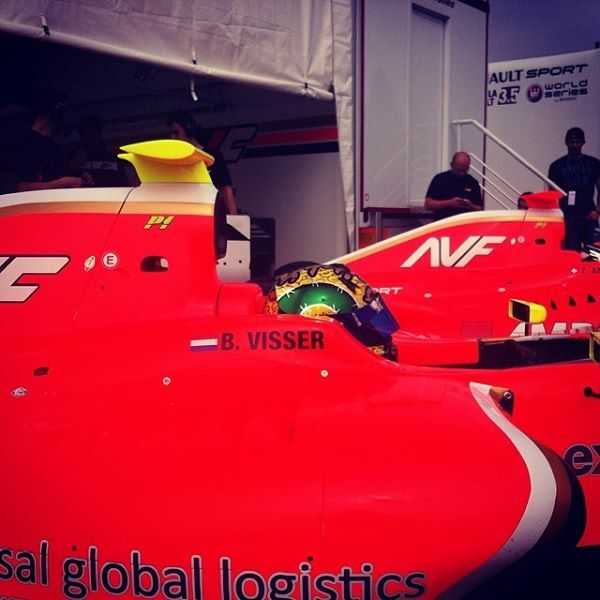 Skipping Formula 3, Formula Renault 2.0 and the GP3 Series was always going to be an extremely difficult job and in this, Visser handled her task admirably. In the AVF machine, she was the slowest in the speed traps during pre-race sessions and at Monza – too much drag and too little top end speed on such a fast circuit is something that will only destroy a weekend. But Monza is unique. The real test of team and driver make up will begin at Motorland Aragon in two weeks time. Although the layout of the Spanish circuit contains what can be classed as a more “traditional” configuration, it does hold some of its own individual facets; admittedly not so extreme as to compare with Monza. Whether Visser and AVF can adapt to those normalised aspects and twisting oddities remains to be seen, but it is clear that there is a lot of work still to be done. And it is in that work ethic that Visser’s speed and confidence will be either won or lost. This is where the little things count and without them, the bigger picture will always remain out of focus.